You are here: Home / Blog / Fundraisers / Buy an Ad in the MOSES 2014 Yearbook! Buy an Ad in the MOSES 2014 Yearbook! Support MOSES and promote your business at the same time. 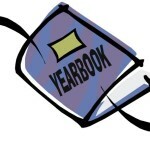 Ads for the 2014 yearbook are now for sale! Click to download this form to purchase your ad. Ad must be received by October 1. Curious about how your ad will be used? Click to browse the 2013 Yearbook! http://mosesmadison.org/wp-content/uploads/2015/08/Moses-Default-Image-e1438717799573.png 166 300 mosesmadison http://mosesmadison.org/wp-content/uploads/2017/05/webheader-logo-2-600x203.jpg mosesmadison2014-08-05 22:23:312014-08-05 22:24:05Buy an Ad in the MOSES 2014 Yearbook!